Also known as cryoneuromodulation, cryoneurolysis uses nerve blocking technology to reduce or halt pain caused by nerve damage. In this treatment, the path from nerve to the brain is inhibited by the insertion of a freezing instrument. By interrupting this pathway, the nerve is unable to send signals of pain to the brain, which provides short term relief to those suffering from neuropathy symptoms. Although the treatment increases the chance of leading a pain free life, it must be reintroduced every time the nerve regenerates. 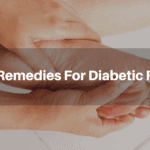 This makes it a lifelong treatment for those who want to management the pain caused by neuropathy. Recently, cryoneurolysis has been used to eliminate the sharp shooting pains of neuropathy patients undergoing a study. Research was performed by a medical director of radiology in Stony Brook, New York. Dr. William Moore and his team documented the trials, which were performed on 20 individuals. Each participant filled out a questionnaire, seven days following the treatment to express the success or failure of the treatment in terms of pain level. Participants answered the questionnaire again after thirty and ninety days. 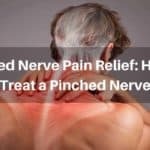 By documenting pain registries this way, the team was able to deduce how successful the treatment was on those who had suffered nerve damage. The findings from this particular study were highly positive, proving real results in pain relief only one week following the treatment. By the sixth month, however, most patients recorded feeling that their symptoms were recurring again; this was likely due to nerve regrowth. While the experiment on nerve damage treatment proved to require ongoing assistance in order to maintain pain relief, Dr. Moore expressed his satisfaction with the success of the study. He has suggested, through the publication of his research, that these results point to a bright future in which less medication will be necessary for patients. He also hopes that cryoneurolysis will become a more widely used treatment to battle the pain associated with the disorder over time. The process of cryoneurolysis involves puncturing the skin with a hollow probe, which is filled with coolant. The coolant never leaves the end of the probe to enter the patient, but instead works from within to freeze the area around the damaged nerve. This occurs when ice crystals form due to the low temperature of the probe. 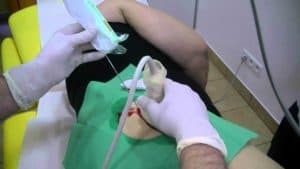 This treatment is completed in a surgical room with the use of an anesthetic, so that the patient will not feel the insertion or cooling process. The nerve basically dies as it freezes, which ceases all pain signals it creates. Overtime the nerve regrows, which could mean future pain, especially if the underlying cause of the damage is still in effect. Those who have undergone the procedure have commented on slight discomfort in the area of insertion, and numbness directly around the freezing area. Other than these side effects, most patients have reported positive experiences following the procedure. The concept of freezing of nerves is not unfounded, as cold and ice have been used in the treatment of pain since somewhere around 460 B.C. In fact, historical accounts show the use of ice for pain in ancient Egypt. Being able to modify surgical equipment and use modern technology to freeze nerves through the use of pressurized coolant is a benefit of living in an age where we have advanced our medical knowledge and capabilities to evolve these concepts. 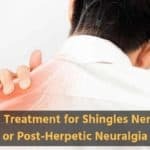 At NeuropathyCure.org, we hope that these advancements continue in the foreseeable future, so that one day the treatment may be applied at home, or without need for reapplication. Cryoneurolysis is considered to be a safe method of treating the pain and symptoms caused by neuropathy, but it is not completely without risk. As with any medical procedure where an instrument is inserted into the body, there is always the possibility of infection, and while rare, long term nerve damage can occur. Before undergoing the procedure, it is important to discuss these risks with your physician and do your own research in terms of success rates for the treatment, and possible side effects to consider. Those who have undergone cryoneurolysis have reported generally positive results, with a few feeling pain recurring directly after the procedure. If performed properly, the incision and freezing process is extremely safe and very low risk. 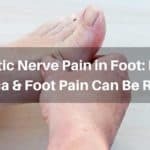 While neuropathy tends to be the leading reason to use treatments such as cryoneurolysis, it is not the only ailment where doctors feel it necessary to use this unique pain management technique. Recently, the freezing process has also been used prior to knee surgery in cases of total knee arthroplasty. When combined with other methods of pain management, the freezing has been successful in providing patients with high levels of relief after surgery. Freezing has also been used as a means to treat migraines and chronic headache pain in patients who are experiencing such symptoms due to nerve signals. Using surgical procedures of this kind is not taken lightly within the medical community, meaning that in order to undergo such treatments, many tests must be undertaken for a proper diagnosis. In the future, cryoneurolysis may be used to treat and prevent a number of other painful disorders or procedures. In some cases, your doctor may suggest combining treatments to battle the symptoms caused by neuropathy. 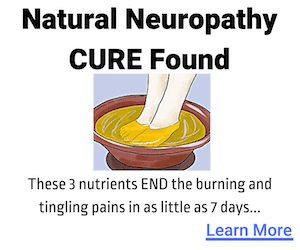 At NeuropathyCure.org, we usually suggest using more natural methods as a counterattack, when treating pain. 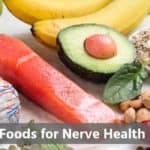 Supplements like Nerve Renew, which benefit the system through the addition of necessary vitamins and minerals, make for a positive reinforcement to other proactive treatments. If you are considering cryoneurolysis as a method of controlling pain and numbness, be sure to discuss all other medications and therapies currently in use, with your doctor. For more information on neuropathy, available treatments, and the benefit of supplements, check out the rest of our website, or contact us for more information. Our hope is that all sufferers of chronic pain and discomfort due to symptoms of nerve damage, will find long lasting relief. Neopathy of the feet Do you have a cream or lotion to help nerve pain Already taking Nerve Renew. I recently had two injections a month apart for my left side Superior Cluneal Nerves with cortisone. Day of injection gave me 80-85% relief but relief slowly diminished after about 5-7 days later on both injections. My main symptoms are pain and tenderness above and below the iliac crest as well in my upper buttocks. Sometimes I have pain on my upper outer thigh. I live on the North side of Chicago in Illinois and I’m having trouble finding someone who does Cryoneurolysis in my area. The pain specialist I’m working with does not have this machine and Ive reached out to Rush, University of Chicago and Northwestern Memorial Hospital Pain clinics and they do not have availability to this machine. Can anyone recommend a physician in my area and is radio frequency ablation an option? Has had this pain for 4 years after an injury.